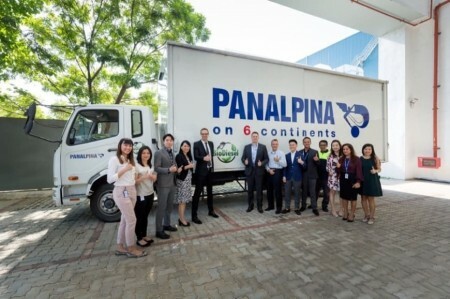 Supply chain solutions provider Panalpina Singapore has announced the roll-out of a new fleet of biodiesel trucks to serve its customer L’Oréal Travel Retail Asia Pacific. By 2020, L’Oréal aims to include 100% of its strategic suppliers under its ‘Sharing Beauty with All’ sustainability initiative. These new biodiesel trucks will help the beauty product provider reduce carbon dioxide (CO2) emissions from the transportation of personal care products by 20%, compared to 2011 levels. The reductions are also in line with Panalpina’s target for subcontracted transport to reduce CO2 emissions by 25% by 2030, compared to 2017 levels. The biodiesel used to power the trucks is produced from waste cooking oil from restaurants in Singapore. On average, 4,000 litres of waste oil are collected daily, of which 90% is converted into the biofuel, according to the company. “Panalpina has a commitment to sustainability, and we are proud to embark on this journey with L’Oréal Travel Retail Asia Pacific to reduce CO2 emissions,” said Gino Marzola, country manager at Panalpina Singapore. “As demand for their shipments and island wide delivery grows, so too will our fleet of trucks, but we are safe in the knowledge that each litre of biodiesel used will emit fewer harmful gases, resulting in cleaner air for all.